A NEW species of human – the Homo Naledi has been discovered in a cave in South Africa, an international team of scientists have confirmed. 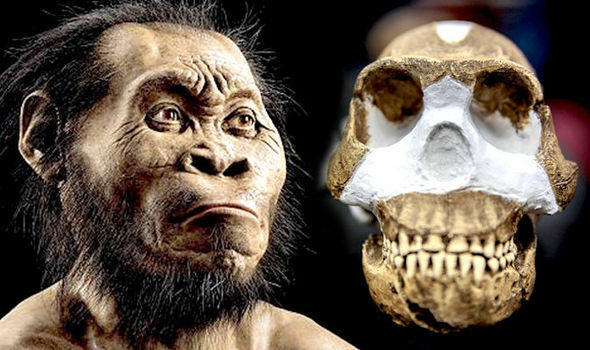 The new species was discovered 50 kilometers northwest of Johannesburg, South Africa and is being hailed as the ‘find of the century” by scientists. With a brain the size of an orange, a slender body, ape-like shoulders and feet almost identical to humans, the skeleton provides a unique insight into our human past. Standing at approximately five-feet tall and weighing almost 100 pounds, scientists claim the ancestor’s skull shows a marked similarity to our own. The 1,550 fossil elements excavated from the cave are believed to be parts of at least 15 infants, children, adults and elderly of the same species – and are just a small fraction of the fossils discovered. The new species was discovered 50 kilometers northwest of Johannesburg, South Africa and is being hailed as the ‘find of the century” by scientists. Piltdown Man, primitive ancestor of Superman? Were the first humans Australian? This entry was posted on September 14, 2015 at 1:50 pm and is filed under Uncategorized. You can follow any responses to this entry through the RSS 2.0 feed. You can leave a response, or trackback from your own site.